join me in maine next week! 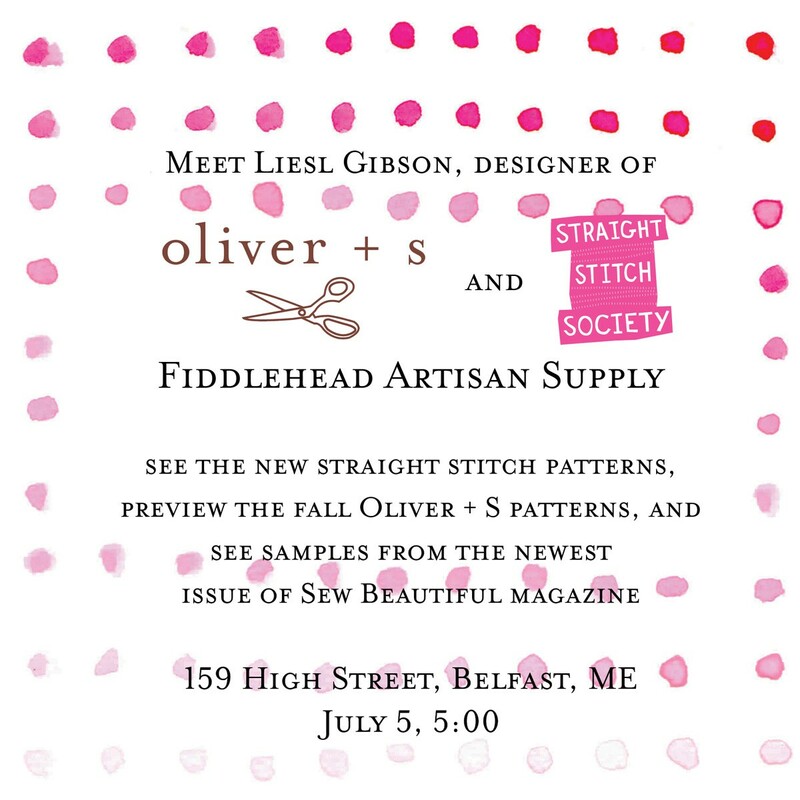 We’re headed up to lovely Maine next week for a big family vacation, and while we’re there I’ll be giving a little sneak peek of the upcoming fall patterns at Fiddlehead Artisan Supply. If you’re in the neighborhood I hope you’ll drop in and join us! S will be there too, wearing a darling version of one of our new patterns made from Heather Ross’ new fabric collection. I think you’re going to love it! I wish! Not a reasonable driving distance from CA though! Can’t it to see the new patterns! New patterns?! NEW PATTERNS! Am tickled pink. Would love to go, but it’s a tad far from Melbourne. Will have to wait for the blog post. Anticipation! I’m glad to see I’m not the only one whose first thought was traveling a ridiculous distance just to get a sneak perk at the new patterns! I hope photos will be posted on the blog. I can’t wait for a sneak peak at the new patterns. Unless otherwise credited, all work on this blog is © Liesl + Co., Inc, 2008-2019. You are welcome to link to this blog, but please ask permission before using any text or images. Subscribe to get blog posts by email!